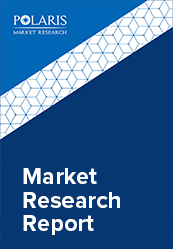 The global conformal coatings market size was valued at USD 10.5 billion and is estimated to grow at a CAGR of 5.4% from 2018 to 2026. These products are a segment of coatings that are considered protective, chemically formulated, non-conductive and dielectric layers. These are applied primarily onto printed circuit boards (PCB) assembly. These products are used to prevent the damage to the electronic assembly due to moisture, salt spray, contamination, corrosion, and few other factors caused by harsh environment. Conformal coating demand is primarily driven by the high growth of its end-use industries such as electrical & electronics, automotive, semiconductor, and medical. Due to rapid expansion in production of consumer electronic products in many parts of the world, these products have made their way into several domestic and mobile electronics industry. Such products are widely used in electronic equipment/items as these provide the necessary combination of reliability and high performance. Automotive, aerospace, and defense industries have also significantly contributed to the growth of the market. Several factors that have led to an increase in manufacturing of aircrafts globally include the recovery in GDP, stable commodity prices such as that of crude oil, and growth in passenger travel demand especially in Asia Pacific, Latin America, and the Middle East. Technological developments and advancement in material engineering sector have enabled a wider range of items to be coated, that recently includes an array of consumer electronic products. Moreover, new processes and equipment are also in place to accommodate the conformal coatings requirement in tandem with the emerging technologies. Different types of resin materials are used in the formulation of conformal coatings. Silicone based conformal coatings have witnessed significant developments recently within the industry. These products have lower environmental impact and provide superior reliability. However, silicone based ones are relatively costly than its alternative products and with advancements in material technology in the industry, it is anticipated that total cost of ownership of silicon based products is anticipated to reduce or to be equal to the common conformal coatings. The global conformal coating manufacturing industry is moderately competitive. Manufacturers invest and undertake numerous R&D activities every year & few major expansions in the past two years has increased the availability of these with customized formulations/solutions for every end-use markets. For instance, AkzoNobel NV announced an investment in research & innovation concerning the development of protective & electronics coatings in 2017 for their Felling facility in United Kingdom. Conformal coatings are largely used in electronics, automotive, aircrafts, military & defense, and medical equipment/products. Electronics and semiconductor industries are among the most popular application segments of conformal coatings and hold substantially larger market share. Automotive is among the fastest growing sectors for these products. With the emergence of smart vehicles in the automotive segment along with advancements in elimination of periodic cleaning/maintenance for several automotive electronic assembly systems/processes has placed significant emphasis on the performance requirements of these products. On the basis of materials, the market is segmented into acrylic, epoxy, urethane, parylene, silicon, and others. Acrylic is the largest material segment on account of account of its low cost, availability, and ease of handling. Asia Pacific in 2017 was the dominant market for the conformal coating market. China, Japan, and South Korea are among the major contributing nations towards the growth of the regional market. In addition to this, the region has also witnessed strong demand in the consumer electronic products and semiconductor devices. North America and Europe are also significant regional markets that followed APAC in terms of sales revenue. Higher budget and spending in the defense sector coupled with heightened security threats global and recovery in the U.S. defense budget schemes has largely driven demand for these products from the North American defense industry, which is a substantially major end-use segment for these products. Other end-use industries have also witnessed high growth in both of these regions. Global industry constitutes of the presence of a large number of multinational and domestic companies and is moderately competitive. Some of the major industry players for conformal coatings include Electrolube, Kisco Conformal Coatings, H.B. Fuller, Chase Corporation, Henkel AG & KGaA, Illinois Tool Works, and Dow Corning.